A very rare copy of the first Bible to be printed in English, has gone up for auction at Chiswick Auctions in West London on 28th November, as part of their Printed Books & Manuscripts items. 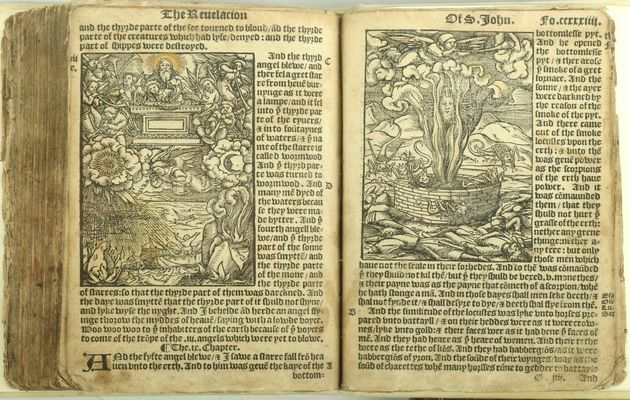 It is a version entitled 'The Newe Testamente Yet Once Agayne Corrected By William Tyndale', which dates from 1536. 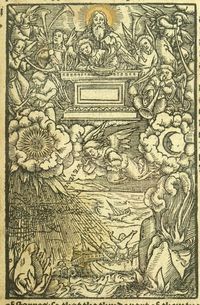 The 228-page Bible with woodcut illustrations has 48 pages missing, and was translated directly from the Hebrew and Greek by Protestant reformist William Tyndale. This is only the fourth copy to appear on the market since the 1970s, and it is estimated to go for £8,000-£10,000. Clive Moss, head of printed books and manuscripts, recalled that “it was among other antiquarian books and it was very easy to dismiss when I came across it as it was missing its title page”. “The Tyndale Bible was the first printed edition of the Bible in English, full-stop. Most of the early copies are in bad condition”, he said. Moss pointed out that “although thousands of them were smuggled into England, they were vigorously hunted and destroyed by ecclesiastical authorities, making this exceptionally rare”. “It's great to hear they've found another Tyndale Bible. Not many have survived because Tyndale had to hide in the Netherlands because British authorities didn't want an unauthorised version of the Bible”, Rev Dr David Instone-Brewer, Senior Research Fellow at Tyndale House in Cambridge told Premier radio in the UK. He explained that “when he finished the New Testament he printed it as a small pocket-sized book, specially so you can hide it and then smuggled them across the channel in wool sacks”. “There's only a handful left nowadays so I'm surprised to read that the expected price is only £10,000. When the British library bought a copy a few years ago, they paid more than a million. Now, I understand this one has its title page missing but still, this is a bargain”, Instone-Brewer said. William Tyndale (c. 1494-1536) was a linguist and a scholar, greatly influenced by the work of Luther and Erasmus, who first translated into English the Greek New Testament and most of the Hebrew Old Testament. Tyndale was called by his great opponent Thomas More “the captain of our English heretikes”. Two years later, in 1538, Henry VIII authorised an English translation known as the ‘Great Bible’, which included much of Tyndale’s own translation. Tyndale’s translation of the Bible had a significant impact on English culture and subsequent English translations and at least three quarters of the King James authorised version of 1611 is believed to be taken directly from Tyndale, as well as the revised copy dated 1881.